This is what you need if you’re suffering from nausea, or a touch of the flu as I have been. I was drinking ginger tea, but my stomach didn’t seem to like the hot drink. Likewise, cold drinks weren’t working for me, so I made this one room-temperature. I didn’t want to buy ginger ale, because I know there isn’t any real ginger in most of them, plus I don’t want all that sugar. Even though there is no added sugar in this, it seems to have a natural sweetness of its own. This is a drink you can sip throughout the day, making more as you need it. It will keep you hydrated, and hopefully the ginger will help to ease the nausea a little. You could just use flat water, and you can add a little lemon if you want. I keep a knob of ginger in my freezer, so I always have some on hand to cook with if I need it. I think I’ll be drinking this even when I’m feeling better, because it tastes so good, and it’s easy to make. Pour about 2 cups of tap water into a pot (unless you live somewhere tap water that is not safe to drink). 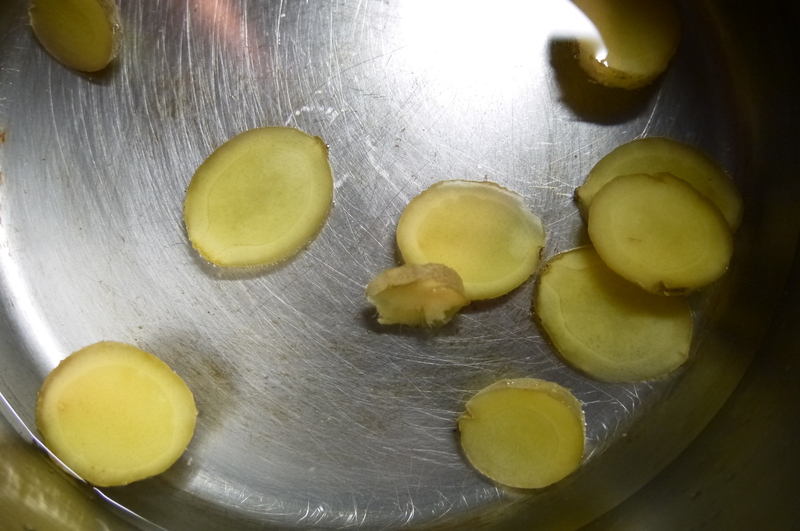 Add about a dozen slices of ginger to the water and bring to a boil. Simmer for about 10 minutes. 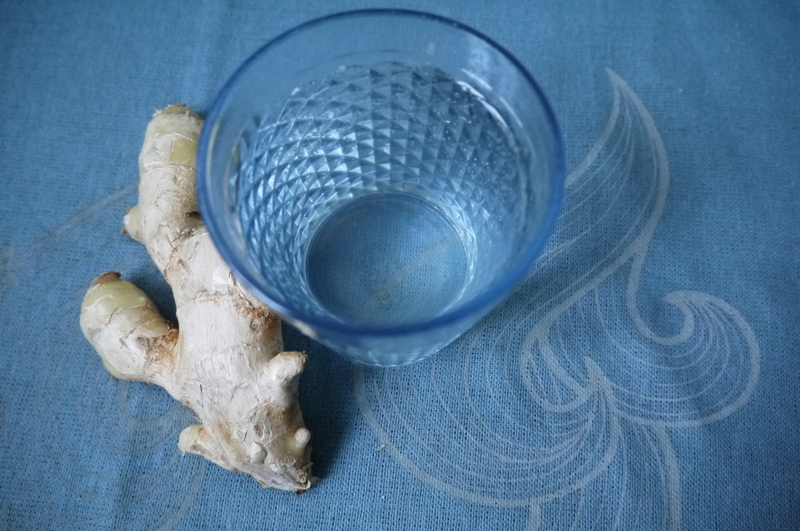 Let the ginger liquid cool down a bit, then put a small ladle-ful into a glass and top it up with sparking water. Taste to see if you want to add a little more ginger water. Sip it, and refill throughout the day. You can add more water to the ginger if you start running low; the ginger has more goodness to give if you cook it a second time.